With features similar to the Classic Roller, the SX Roller is an excellent choice for horses needing ease of break over, whether for movement in performance or simple more comfort because of injuries or chronic ailments. 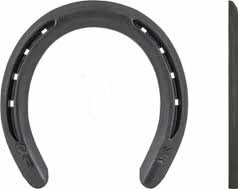 With a narrower profile and lighter weight, this is a good choice for arena work such as roping, penning and cutting. It is also a very good shoe for endurance and trails.